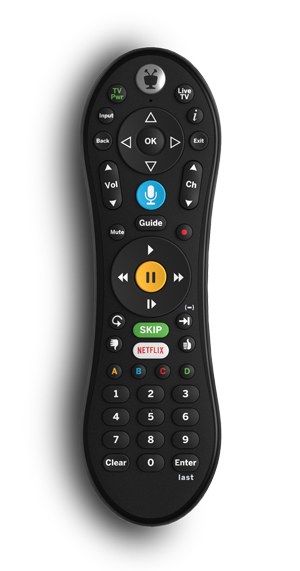 Brand new voice (VOX) factory replacement remote control for TiVo Mini, Roamio, Roamio OTA, Roamio Plus and Roamio Pro. RF/IR capable. Includes Bluetooth dongle. WeaKnees.com is not affiliated with TiVo Inc. TiVo is a registered trade-mark of TiVo Inc.
All orders are eligible for FREE shipping! We use UPS and USPS (free ground shipping in 48 states-full shipping info). Questions? Contact us! Call us at 888 - WEAKNEES (888 932-5633) or 310 842-4700 or send an email.